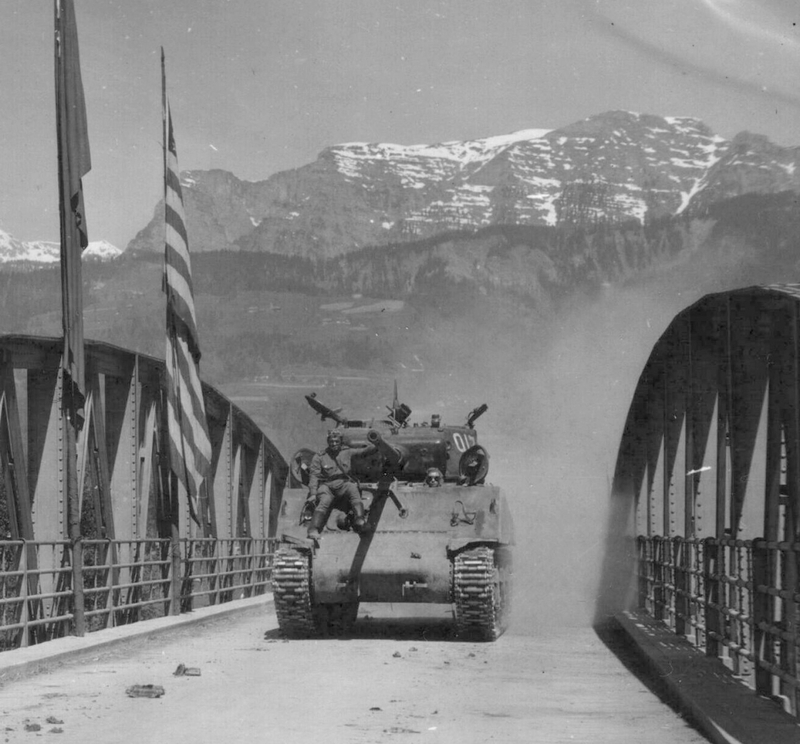 The M4A2 76w was not an important Sherman in the west during WWII. Just about the whole production run was shipped off to the Soviet Union, where it was well received. 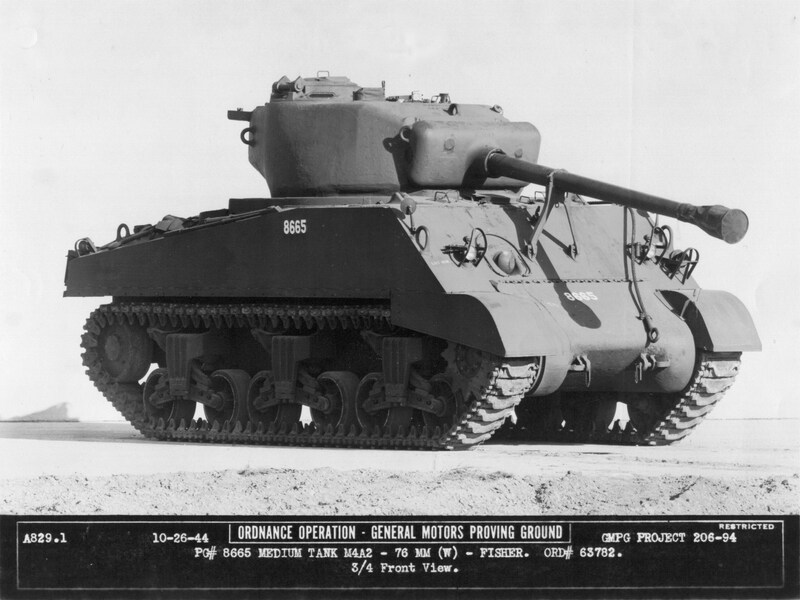 The M4A2 76W was a wet tank with large hatches from the beginning. It’s 76mm T23 turret the same as the ones installed on all the other 76 tanks and probably went through the same series of minor changes. 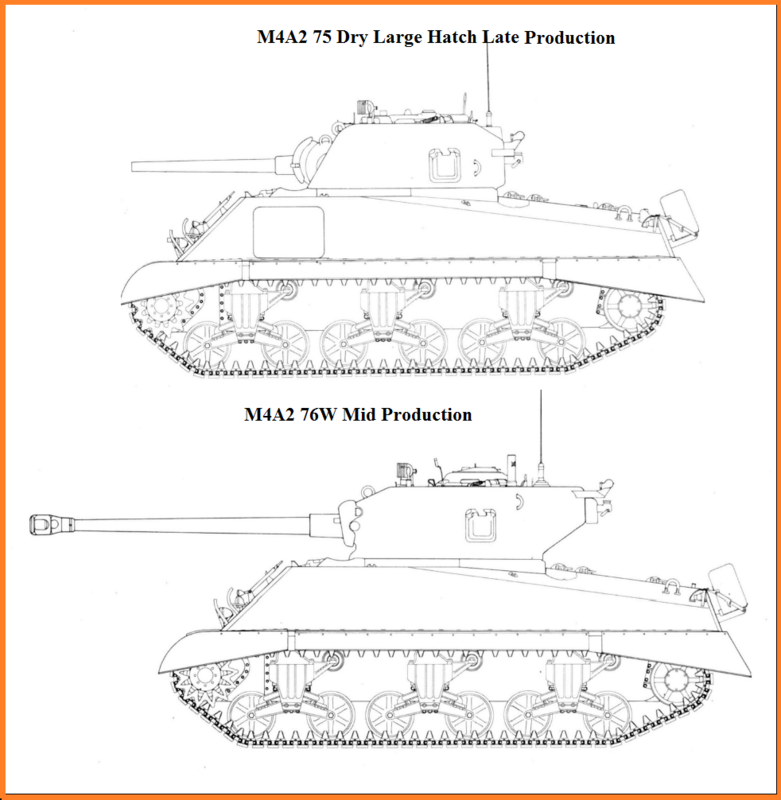 The Hull is almost indiscernible from an M4A3 76w, and they used a late production M4A2 76W HVSS tank to stand in for the M4A3 76W HVSS tank Fury was supposed to be, and you can’t tell, since they rarely showed the tanks engine deck, and the late model M4A2 exhaust deflector looked the same as the version on the M4A3 76 tanks. 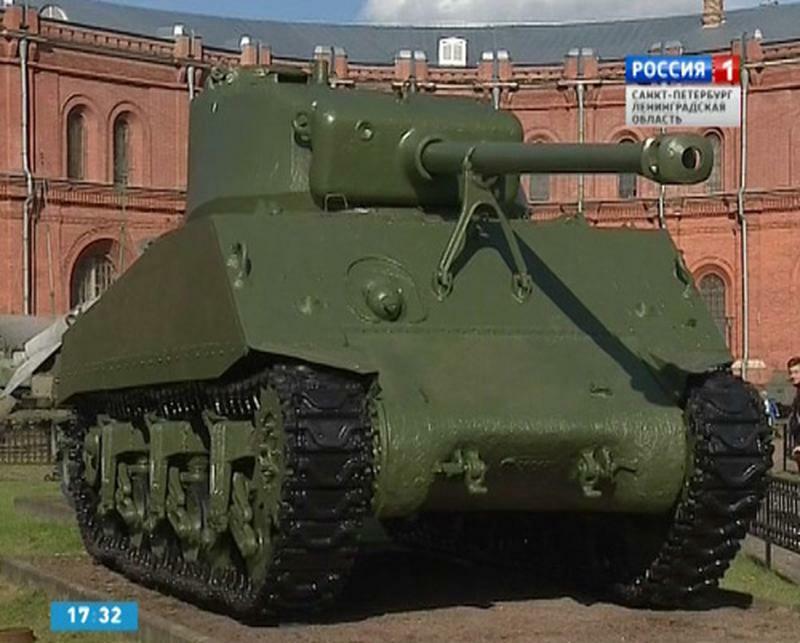 The Russians received some HVSS M4A2 76 tanks before the war ended. Powered by the same GM 6046 twin diesel as all M4A2, the engine was reliable and easy to maintain, and could even be run on half of the motor. 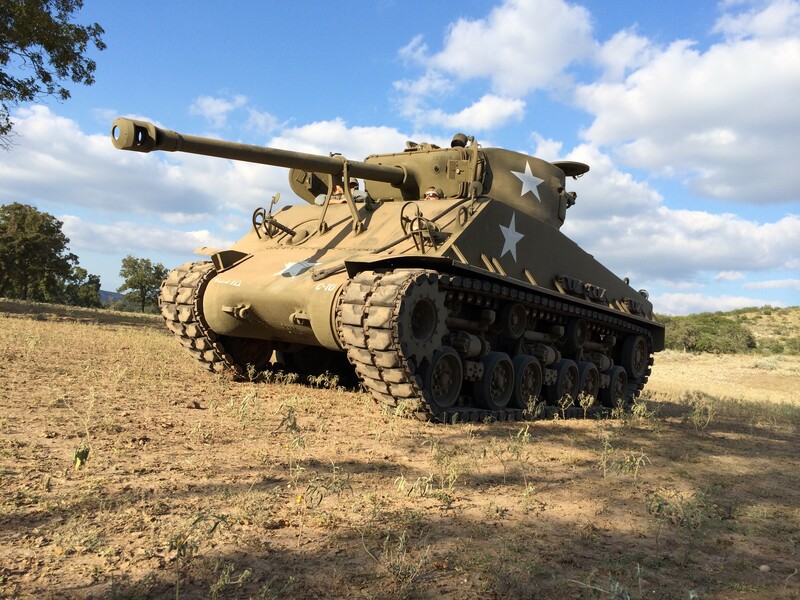 There are a fair number of these tanks in civilian hands now, including one you can drive, and shoot all its guns, out in Texas! 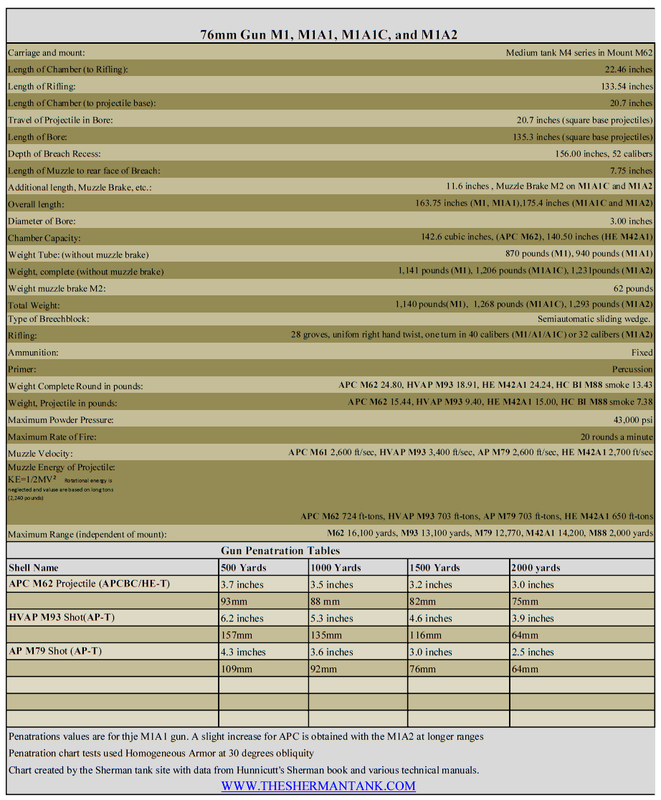 The link above will download a PDF version of the spec M1A1 gun spec Sheet. 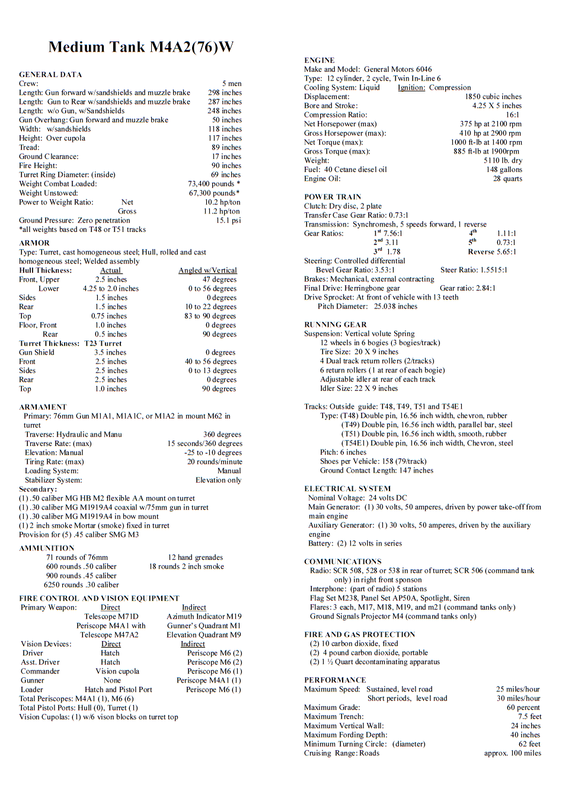 The link above will download a PDF version of the M4A2 76w HVSS spec sheet. An early M4A2 76w with a split loaders hatch and a threaded and capped M1A1 gun. 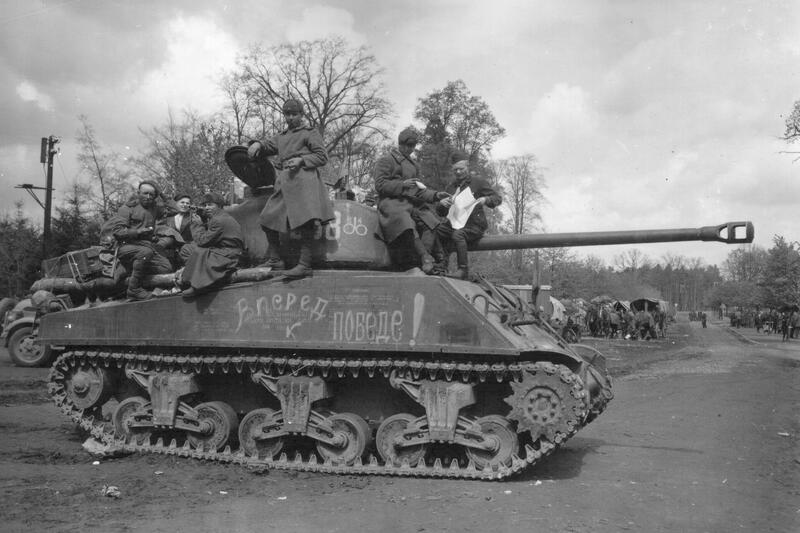 This tank is a Lend-Lease Sherman in Soviet use, the crews called them Emchas, and they were fond of them. 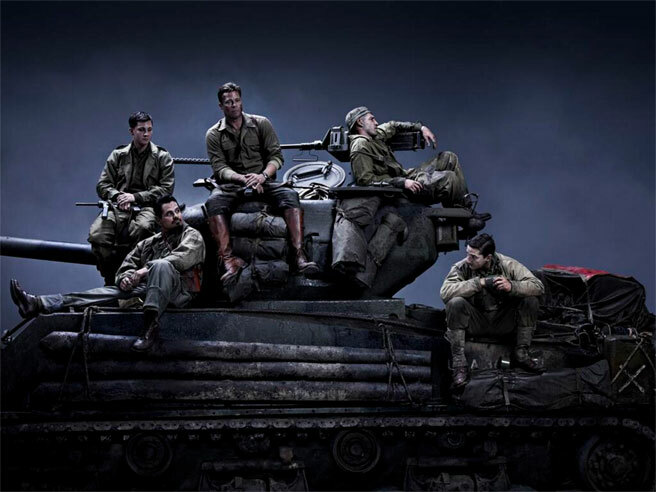 Publicity shot from the Movie Fury, the tank is not what it was portrayed as, an M4A3 76w HVSS tank, it is, in fact, an M4A2 76w HVSS tank. A Soviet Lend Lease Sherman recovered from the ocean floor off Russia. 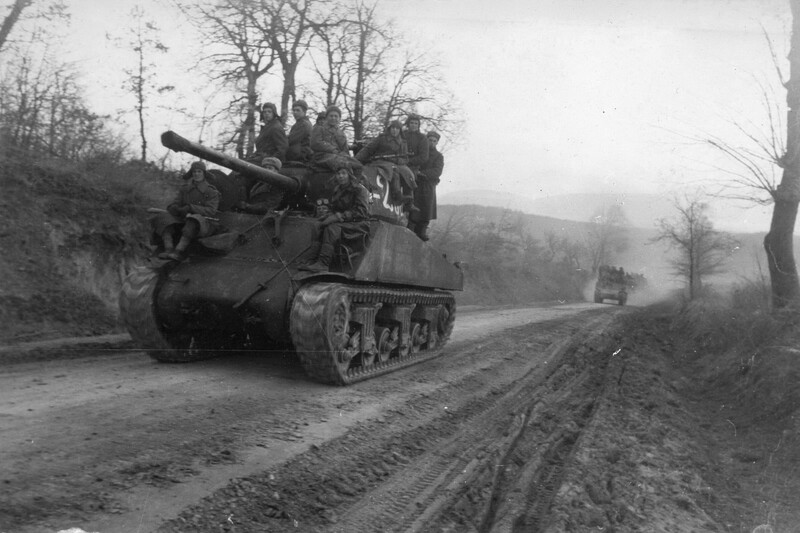 A lend-lease M4A2 76W VVSS Sherman in use by the Soviets. The tanks crew and some tank rides are sitting on their beloved ‘Emcha’. 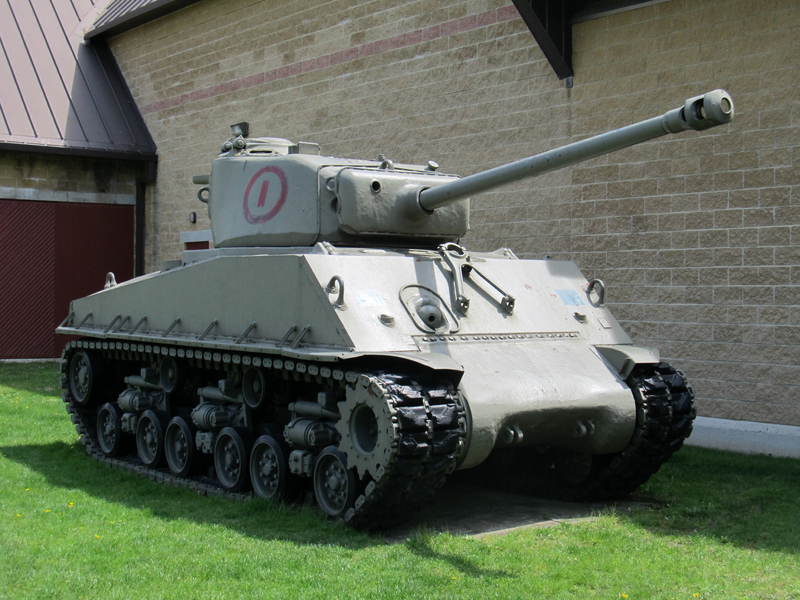 A Soviet Lend-Lease M4A2 76w Sherman, this one is an earlier production tank since it has a threaded and capped M1A1 gun. An M4A2 76w tank, a late production but not so late as to have HVSS suspension, but it does have a muzzle brake. 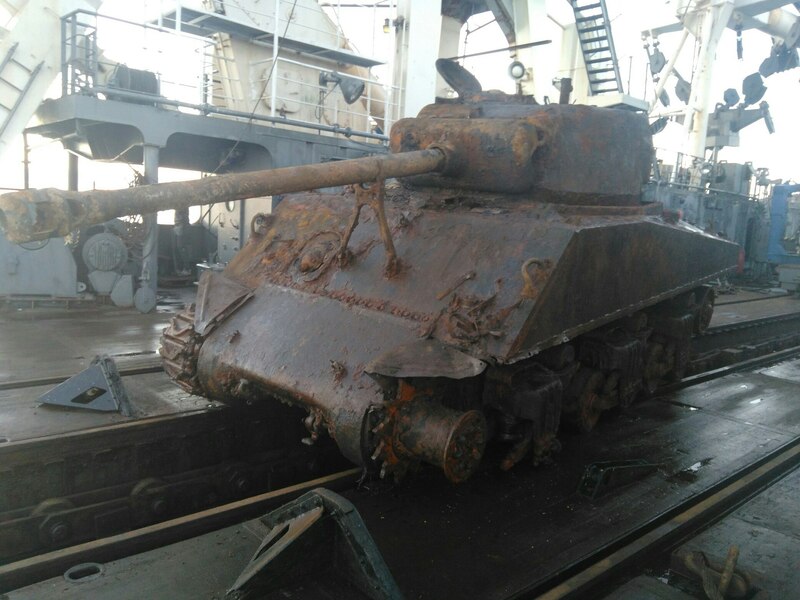 This tank is very similar to the one above recovered from the Ocean floor. 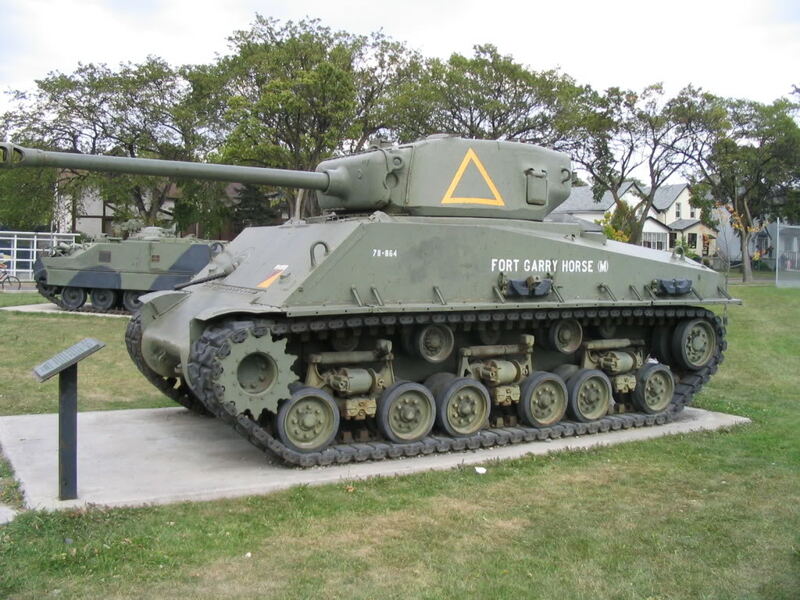 A Canadian M4A2 76 HVSS tank, they purchased these after WWII ended, when the US was selling off everything but the M4A3 tanks.